Just like coming up with something interesting for dinner can be hard during this time of year, so can getting dressed in the morning. 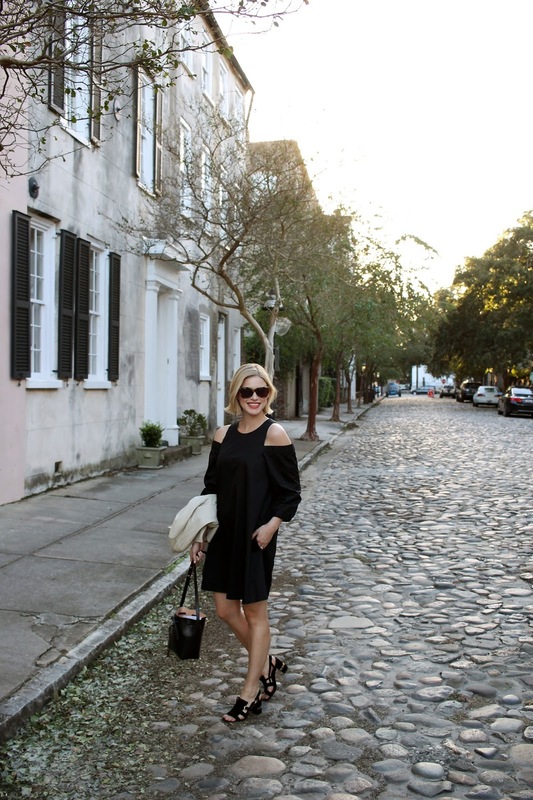 Living in Charleston restricts the amount of layering you can do, and even though I do not follow the typical rules about what you shouldn't wear after labor day wearing a summer dress just doesn't feel right in October. I purchased this Tibi dress while in New York over the summer. I love almost everything Tibi creates and their fall pieces this year are incredible. Since I only wore this dress a handful of times I was determined to make it work this fall. Taking a summer trend, like cut-out shoulders, into fall can seem difficult, but with the right accessories you can make it work almost year-round. Pairing it with my cream leather jacket and a pair of black suede sandal made it feel more appropriate for an evening out. Once it gets a little cooler I plan on swapping the sandals for heeled booties. 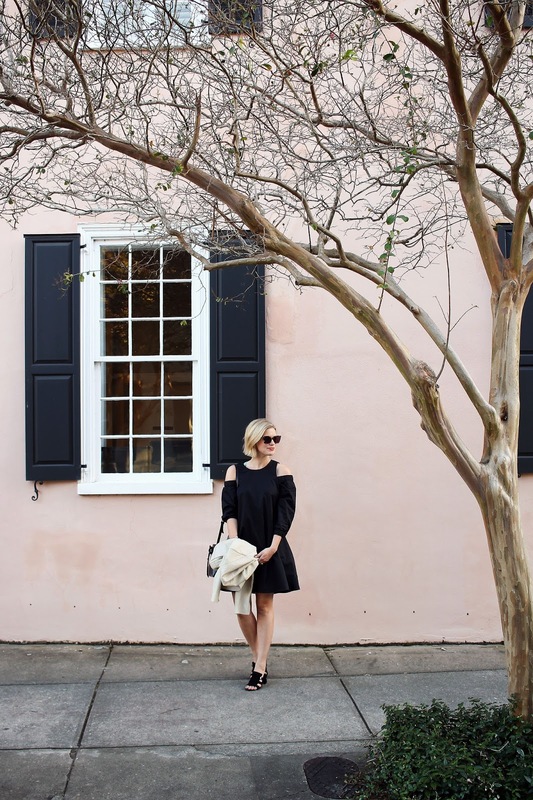 How do you transition your summer dresses into fall?